We at Bylies Contractors can help you with your everyday needs when it comes to home improvement. We will come to you, and supply you with a reasonable priced quotation on the following items. One call does it all. Bylies Contractors residential handyman services can help save time from the first phone call through project completion. Call Bylies Contractors today for all your home maintenance service needs. We handle home maintenance, so you can spend time on what matter. Access Control (Softcon Access systems) and much more. 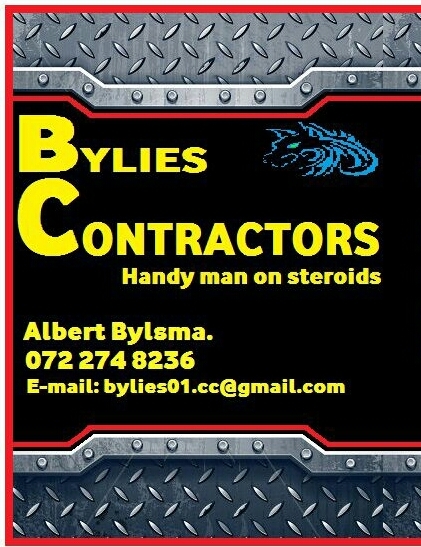 We are also on Facebook under Bylies Contractors.